No Great Things : Happy Birthday to Me! My lovely blog readers! I owe you some articles I have not been writing as I wait for pictures… so here comes number one: MY BIRTHDAY!!! In case you have never spent the month of March with me, I love my birthday and begin celebrating it the moment my sister’s birthday passes at the end of February. 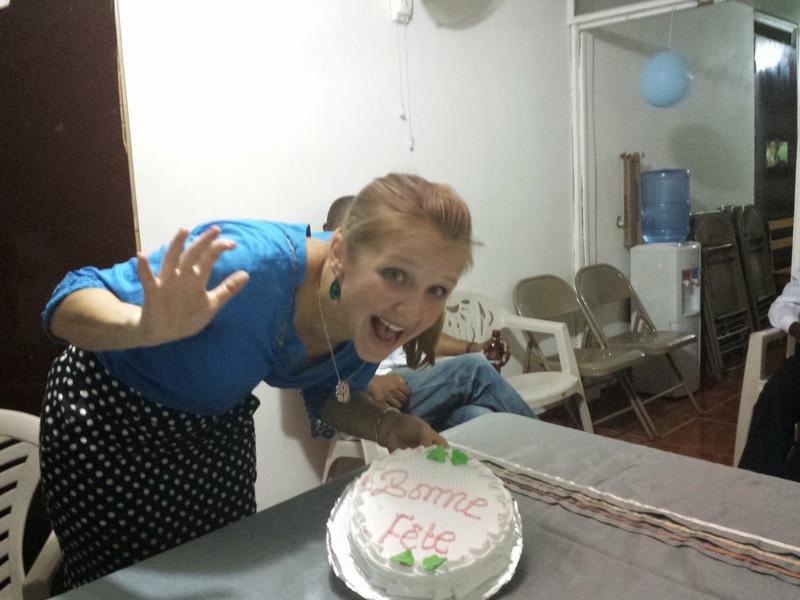 This year, my coworkers at FSIL pulled off a surprise party in the most Haitian fashion. I was highly suspicious that there was a party: early in the month, I had suggested that I wanted to throw a party. But then the deception begins. They convince me there is no party. I spend my birthday getting the sweetest cards, being sung to everywhere, and generally having a great day. Bear in mind, the compound gates lock at 9:00. Lights out is 10:00. It was a beautiful party with oodles of delicious food (hence the delay), toasts in four languages (French, English, Creole, and Spanish for kicks), dancing, and good friends. I truly appreciate the way that everyone has taken me in as a part of their community and given me true and deep exposure to Haitian culture.